Welcome readers. It's October already? Seems like it was just a few weeks ago when we were planning events for May, June and July. 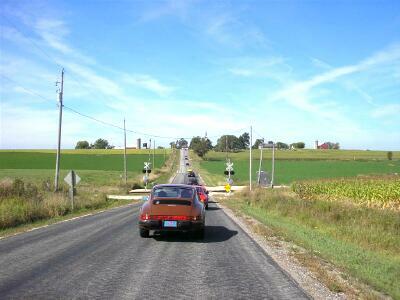 Let's hope there are some sun-filled fall days ahead to drive the Porsche a few more times. In this month's issue of Steinlifters Online, we offer the usual round up of upcoming events, reports about recent activities and news from Porsche. This issue starts off with an important message about leadership and helping the region achieve its goal of creating great events to bring people and their Porsches together. Year-in and year-out, the Milwaukee Region calendar offers an abundance of opportunities for you to enjoy a broad range of organized events that involve driving your Porsche – sometimes really fast – and getting to know other members where the car creates the initial connection. This time of year opens up an opportunity that isn’t on the calendar. Every year at this time we put out a call to those of you who feel you have leadership capabilities that can contribute to the success of this Region. Each year four board seats open up and nominations are both welcome and encouraged. If the thought of contributing and providing direction to the Region resonates with you, even slightly, you should open the door to the opportunity. There's a link to the nomination form at the end of this article. Please mail it before Oct. 23. According to the by-laws of the Region, nominees must be willing and reasonably competent (What do you suppose that actually means?) to fulfill any of the board positions and other areas of responsibility. In other words, you have to have more than a heartbeat. It means you have to be serious about contributing ideas and be willing to step up to the plate when help is needed. It’s an important role, but it’s not really a lot of work. I read something a very long time ago that struck me and became a fundamental part of how I think. I don’t know who wrote it, so I can’t give attribution. But it goes like this: As you journey through life there are efforts and there are results. And the strength of the effort is the measure of the result. A simpler way of saying it is: what you get out of anything you do in life is a measure of what you’ve given. Yep, that’s even true in a car club. This opportunity only comes around once each year. Knock, knock, knock! Do more than just think about it. Here's a nomination form. Oct. 17 -- Drive to breakfast. This event won't consume your entire day. Follow-the-leader in an hour drive en route to a great place for breakfast. Departure time is 8 a.m. Don't be late. The pancakes will get cold. Oct. 31 -- Tech session at Paintwerks. Learn how to protect and repair your Porsche's paint. Details here including how to RSVP, which is needed by Oct. 26. Nov. 13 -- End-of-season casual dinner. This is the last social event of the year. There will be no holiday party so this is it if you're looking for a chance to renew acquaintances or meet other members in a casual, affordable setting. Details here. Congratulations to these members who are observing a membership anniversary with our region this month. Special hooray to Bob Schoessow who is celebrating 49 years with the region and Tom "I love my 356" Spiegel who is celebrating 46 years as a PCA member. 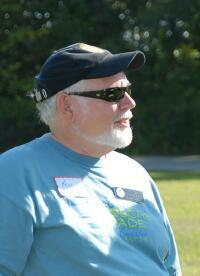 The joint region picnic on Sept. 5 at Porsche Park was a blast. Read the recap here. The Fall half-day driving tour in mid September found lots of Porsches on roads less travelled, much to the delight of participants. Read the report and check out the photo album here. Winter storage tips....we are facing the reality of the close of the driving season for most of us. If you're putting your Porsche in storage for the winter, here are tips on how to prepare it for its long winter nap. So you think you're a good driver and know the rules of the road. Try out this quiz which member Fred Schwierske found online. Zone 13 News....Read Zone rep Ken Hold's (photo left) latest report on things happening in Zone 13 which includes Milwaukee Region. Many of us met Ken and his wife Adell at the picnic on Sept. 5. Classifieds. 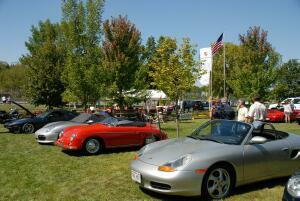 The classifieds provide members with an opportunity to buy or sell Porsches or related items. Check out current classfieds here. Porsche clinches ALMS GT2 title. Details here. Scroll to the bottom of the page at this link to see back issues of Steinlifters Online. Need a new sweatshirt or jacket to wear at our upcoming fall events? Go to the region goodie store to purchase a Steinlifters-identified item. Hope to see lots of members on the drive to breakfast on Oct. 17 and the casual dinner on Nov. 13. Members, remember to keep your e-mail address up to date in your membership record which is maintained by the national PCA database. Your region uses e-mail to send reminders about club activities, including a reminder that the current newsletter is available online. If your e-mail address isn't correct, or isn't in the record, we can't reach you! You can reach any of your region leaders by clicking on the Resources tab at the top of this web page and going to the Contact information link. There you will find contact information for all committee chairs as well as the board of directors. A link to the Web sites of the other regions in Zone 13 is at the bottom of the Contact information page.